I’ve often said the Johannite rituals and traditions aren’t my cuppa, but their blogging clergy certainly do have the undiluted Ineffable coming out of their fingertips. Read the whole post. It’s a barn-burner. And one even this nontheist can nod along to, and say, Amen, Amen, and Amen. Yep, that’s just what I needed to hear, at just the right time. Thanks, George. I found a message in a bottle…. “In an Internet world, it has become easier to throw away people when they cause us pain, and to simply drop communities when they (inevitably) experience conflict. It has become easier and easier to stay home, stay safe, and only journey inwards to find what we want of the spirit world. But I don’t think that’s what the gods want of us. I think the gods want us to keep it real, keep it present, get invested, get bumped and sometimes bruised among our fellows. And, in the process, to mature, both as individuals and as a people. Cat Chapin-Bishop blogs at Quaker Pagan Reflections. ….and the message was meant for me. A little bit of progress tonight, nothing particularly foundation-shaking. I have not had great success with getting into a focused mental space lately, even with the meditations that usually give me ready access. I did at least get a sense of why this has been so, however. I have always known the external accusations against the gnostics (and the Gnostics), that of dualism and world-hating, were not in any way accurate. I have fallen into the trap of succumbing to such a false dichotomy however, and did not realize how fully it was entrenched, and may always be. I come from a strongly dualistic and legalistic world-hating background, one that has instilled a mindset within me, from birth, that I will probably never be able to shake. I work around it instead, as best I can, with the limited resources I have to do so. For the most part, I am usually successful, but it is impossible to maintain such an effort thoughtlessly, and when I am tired, stressed, or ill, any such efforts are discarded in favour of fight-or-flight survival. If there was any “message” for me tonight, it was that of balance and moderation, and acceptance of the physical, instead of rejection of it, in favour of living entirely inside my own mental sphere. This is the infinite chain of attainment that I am attached to, and that I desperately need to discard, although I haven’t quite figured out how to accomplish that. My psyche, for its part, is retreating even further into its own shell, as a result of that shell being threatened with elimination or removal. The insight I had tonight was part of an ongoing realization, of re-framing things in a positive light. Not only mental events and dramas and other internal emotions and reactions, but physical things as well. Circumstances and physiology and relationships, etcetera. I have known that for quite some time, but it’s one thing to “know” it, and another thing entirely to put that into active practice. Maybe in that respect, the shell does not need to be discarded or eliminated, but reframed or utilized in a different manner. Time to put up or shut up. That was my small insight for the evening. 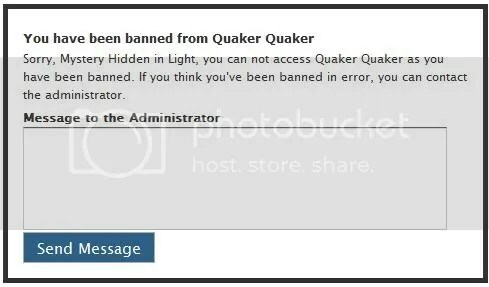 And here is why I read the Quaker Pagan blogs. “Talking to the wrong Jesus.” Here I am, a non-Christian, sometimes feeling like a poor, orphaned relative among the Christians of the world, apologizing, explaining, translating… And there’s Alan, one of the most sincere and serious Christians I know, equally dismissed, equally marginalized. I could not decide, in that moment, whether those words were more funny or sad. But they’re both, really, aren’t they? The wrong Jesus. The wrong Zeus, the wrong Demeter, the wrong Allah, the wrong theology, ontology, hermeneutics, philosophics, harmonics, recipe for sweet golden Hannukah latkes… Oh, dear sweet Ground of All Being, how we humans dearly love to draw our little lines around your limitlessness and fence you off and take You (and one another) hostage. There it was: the tragedy and the comedy of being human and trying to love God and one another, all sewed into one small sentence. Particularly apt words for me, having been dogpiled by literalist fundies on the ex-member boards lately, just because I don’t “talk to [the right] Jesus”. But! According to YouTube, it’s a flamewar that has been going on for two centuries at least!